Our appointment book is computerized which allows us to efficiently make appointments for you and your pet. We provide 30 minute wellness exams for our patients and clients, longer than most veterinary hospitals. We feel that this allows our veterinary staff the time required to ensure a complete and thorough visit and also time for answering all your questions. It also allows time for discussing wellness and preventive measures that are specifically designed for your pet. Vaccine protocols are designed specifically for each individual patient using the most current information and vaccines available. Our vaccines are chosen based on their safety and ability to provide protection. Different life stages and exposure warrants choosing different vaccines. Every pet has a protocol designed just for them. We offer prescription and nonprescription diet from Science Diet. (Other brands are available through our online store pet medication home delivery) We will help you find the right diet whatever your pet's requirements are. Parasites in your pets can affect your entire family. In Idaho, we can make our pets virtually parasite free. We recommend yearly internal parasite evaluation and preventive internal parasite control for your cats and dogs as well as seasonal medication for heart worms. 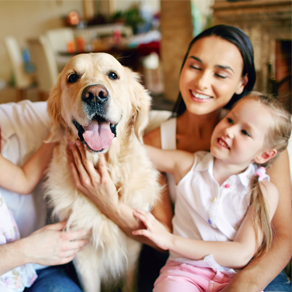 Your children and grandchildren are safest when your pets are protected. It is never too early to examine blood chemistries on your pets. Wellness panels help to provide a baseline to compare to, as animals age. We use both our in house lab and the best reference lab in the world to provide the information we are looking to document and save. Often, blood values cue us into diseases that are not yet showing symptoms, while these diseases can still be easily and economically resolved. Dr Slurink is at the hospital 6 days a week and is trained and equipped to handle any urgent care your pet has. After hours, we refer to WestVet Emergency & Specialty Center in Boise. (An ambulance is now available for transportation to this facility.) Emergencies can be things such a snail bait poisoning, hit by car, and chocolate ingestion. If you ever feel that your pet needs emergency treatment do not hesitate to call or come in immediately. Life-threatening emergency cases shall always receive top priority. If possible it is best to call before coming in so that we can advise you on your particular emergency. We are also available for urgent care when the condition is not life-threatening, but you feel your pet needs to be seen before you are able to get an appointment. Dr Slurink will work to "squeeze" you in between scheduled appointments. When you arrive, our receptionist will be able to give you an estimate on how long you may have to wait in order to be seen. We take emergency cases as our top priority. Cleveland Pet Hospital & Health Center accepts payment via Cash, Check, MasterCard, Visa, Discover, American Express and CareCredit. So that we can continue to provide you high quality service utilizing the best medical technologies, we request that payment be made at the time services are rendered.